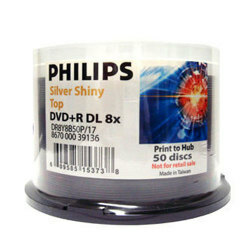 The double-layer DVD+R DL medium is the newest technology breakthrough in optical discs. 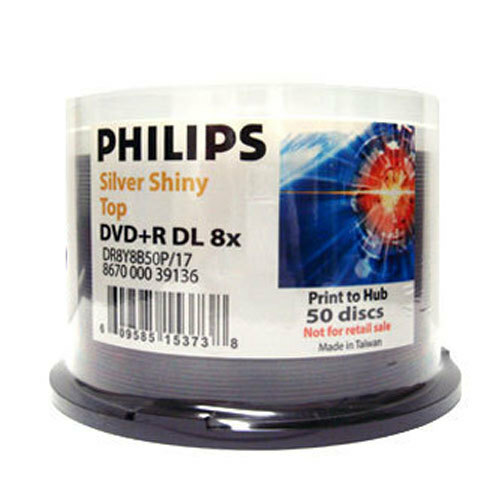 The advanced Philips single-sided, double-layer disc has an amazing 8.5GB of storage capacity, enough for up to four hours of DVD-quality video, 16 hours of VHS-quality video, or over 120 hours of MP3 audio. 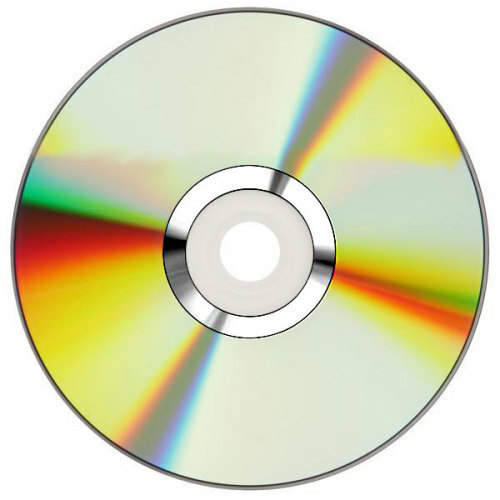 It is compatible with all current DVD video players and DVD-ROM drives as well as new DVD+R DL drives. It is ideal for virtually any business or household application. Double-layer technology allows materials to be either read or recorded on one layer without affecting data on the other layer. An important advantage of the double-layer configuration is convenience. It allows users to read, write or view nearly twice the amount of data than with currently popular single-layer 4.7GB DVD discs without having to flip sides or change discs.